Our local electrician service for electrical repair, maintenance and installation can be contacted via our freefone number 0800 046 2637 or alternatively please use the form provided below. Our dedicated team of local electrical engineers will do our best to get back to you in as little time as possible. 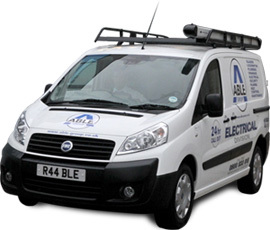 Able Electric treats all there customers with care and with the up most respect.